A reliable source for Degreasing Equipment information and a resource for accessing leading Degreasing Equipment and suppliers. Degreasing Equipment "Degreasing equipment" is a broad term that refers to any parts washer that is used to remove grease from a part. The degreasing equipment used for a job depends on the volume of degreasing necessary, the type of grease to be removed and the utilization of the part after degreasing. Vapor degreasers work by removing grease from a part suspended directly above boiling solvent in a cloud of vapor. A temperature difference between the hot vapor and the part, which is cooler, creates vapor degreasing solvent condensation, the cloud of vapor, which dissolves the grease. Following this method of cleaning, a part may be further cleaned with ultrasonic or immersion cleaning. Vapor degreasing is used for electronic components and parts that could get damaged by water immersion. 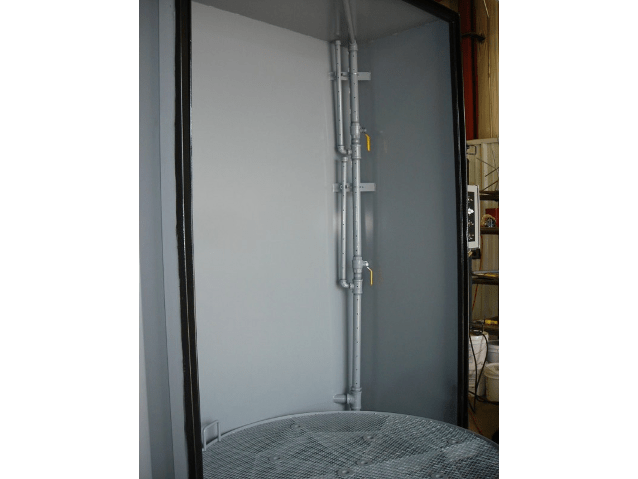 Vapor degreasing equipment is generally manufactured in at least two designs that are differentiated by the solvent type used in the cleaning process. One uses n-propyl bromide and chlorinated solvents like TCE, while the others use fluorinated solvents like hydrofluorocarbon (HFC) and vapor degreasers. Degreasing equipment made to use HFC and solvents like it are considered to be more environmentally friendly, which is a big selling point for manufacturers and other customers. The next type of degreasing equipment, ultrasonic degreasers, uses transducers to create ultrasonic sound waves that break up the grease on a part's surface. This method is primarily used on biotechnology and pharmaceutical parts and small systems, often in conjunction with other cleaning methods. 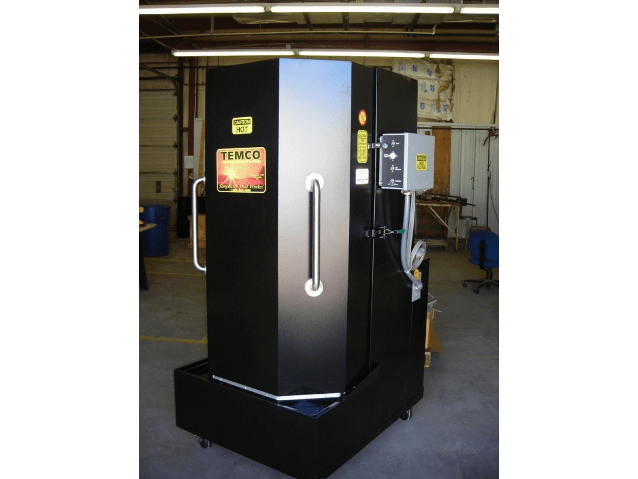 This degreasing equipment is comparatively expensive, but it does remove grease and soils from porous material such as brass, which does make it superior to other metal degreasing equipment. Finally, aqueous or water-based degreasers use special equipment to remove oil from parts only needing light to moderate cleaning. Aqueous degreasing equipment uses biodegradable or water-based detergent less hazardous to operators and the environment. Depending on the degreaser's design, contaminants may be emulsified and removed or separated and mechanically skimmed from the surface. Degreasing equipment is a great option for parts cleaning that will help you clean more efficiently, thoroughly and with less strain to your workers. It will aid any industrial parts cleaning application, especially for your more complex parts or parts that require more effort to clean. When considering the degreasing equipment you will buy, remember that solvents used in industrial cleaning are considered hazardous materials and should be used and disposed using strict guidelines.